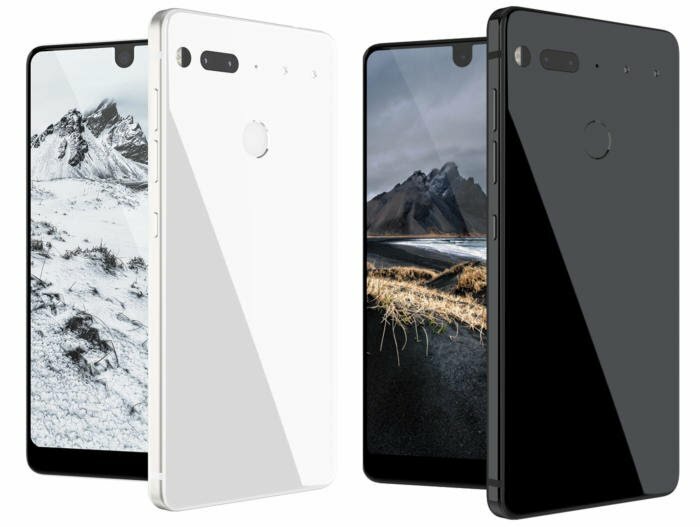 Essential Products confirmed that its first mobile device, the Essential Phone, is no longer available. “We are sold out of Essential Phone on essential.com and won’t be adding any new inventory,” said Essential in a statement provided to Droid-Life. “We are now hard at work on our next mobile product and will continue to sell accessories and provide speedy software updates and customer support to our existing community.” The Essential Phone went on sale in the summer months of 2017. The high-end Android device failed to resonate with consumers. In recent months the phone has been offered at a deep discount. Essential had a tough year. Executive Andy Rubin was forced to step aside for a short time after he was said to have received a $90 million severance package from Google despite claims of sexual harassment made against him. Rubin later rejoined Essential, but the company shifted gears and laid off staff amid the changes. Essential has not expounded on what its “next mobile product” will be. President Donald Trump is weighing new action against Chinese telecommunications equipment makers Huawei and ZTE, says Reuters. The President might issue an executive order that would bar U.S. companies from buying telecom gear from either. Some in the U.S. government insist Huawei and ZTE have deep ties to the Chinese government. That relationship could give China the power to spy on the U.S., a claim Huawei has denied many times. Trump has been considering the executive order for more than eight months. The order would rely on the Department of Commerce to block equipment purchases from “foreign telecommunications makers that pose significant national security risks,” say Reuters’ sources. Huawei and ZTE themselves may not actually be named in the order. Such an order would hinge on the International Emergency Economic Powers Act, which gives the President power to govern commerce directly when a national emergency threatens the U.S. Trump has already barred the U.S. government itself from purchasing equipment from Huawei and ZTE. The four largest carriers mostly rely on equipment from Ericsson, Nokia, and Samsung, but smaller, rural operators do use gear from Huawei and ZTE. They are worried the Trump administration will force them to rip out existing Chinese-made gear at their own expense. Reuters says Trump may issue the order as soon as January. T-Mobile’s long-delayed mobile TV service won’t launch in 2018 as originally planned and is now primed for a 2019 debut. Earlier this month reports suggested as much, and T-Mobile CEO John Legere confirmed the delay in a blog post. Legere spent much of the post lambasting AT&T and Verizon, but he also said the company will “start to take on the Cableopoly on all fronts — TV AND broadband — all backed by the same Un-carrier approach of listening to customers and solving their pain points.” Legere said the first steps toward attacking the “stupid, broken, arrogant industry” will get underway in the new year. T-Mobile will target TV services, and it will also target in-home broadband. Legere didn’t elaborate on how. T-Mobile hopes the government approves its proposed merger with Sprint in the early months of 2019. The company wants to surpass AT&T and Verizon with the launch of its own 5G network in 2019, which will be based on its 600 MHz spectrum, rather than the mmWave spectrum being employed by AT&T and Verizon. T-Mobile’s 5G launch, expected mid-year, will cover much of the country when it goes live. News has arrived here at Coolsmartphone Towers, that according to Essential’s website and other stores that typically sell the Essential Phone, the device was showing up as “sold out.” ‘Strange,’ we thought, ‘maybe the Essential phone has had an upsurge in popularity’, but no. Essential has confirmed the Essential Phone is being discontinued. In other words, it’s no more. We have no clue what their “next mobile product” is going to be. There are rumours that Essential is working on a companion type device similar to the latest Palm phone, but it’s main interaction is through voice command. On a positive note, Essential has stated that they will continue to provide software updates to current Essential phones. This news may not come as a surprise for some as the successor to the Essential phone was cancelled back in May, and there have been countless sales over the last few months to drastically lower the phones price. The post Essential Phone Discontinued. is original content from Coolsmartphone. If you see it on another news website, please let us know. It’s Boxing Day, so – for almost the fifth day running – I’m about to get stuck into yet another massive meal. Luckily, I have my sneaky stretchy jeans. 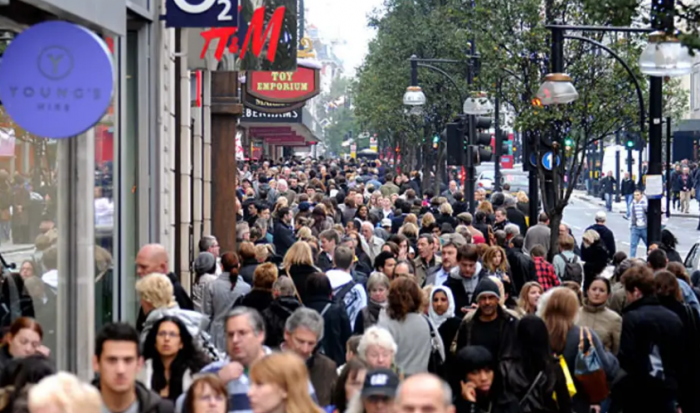 If you’re one of those nut-jobs who’ve been up since 5AM to get to a Boxing Day sale in town, then you’re probably ready for a sleep now. 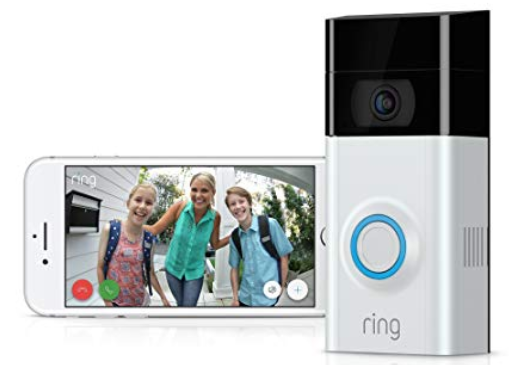 However, for those who want to grab a good deal without moving too much, we’ve spotted the following so far..
At Amazon, there’s this Ring Video Doorbell 2 with Chime. It’ll work with Alexa and lets you see, hear and speak to visitors from your phone, PC or tablet. It’s got 1080p HD video and nightvision. Right now it’s £154 at Amazon – it’s normally £178. 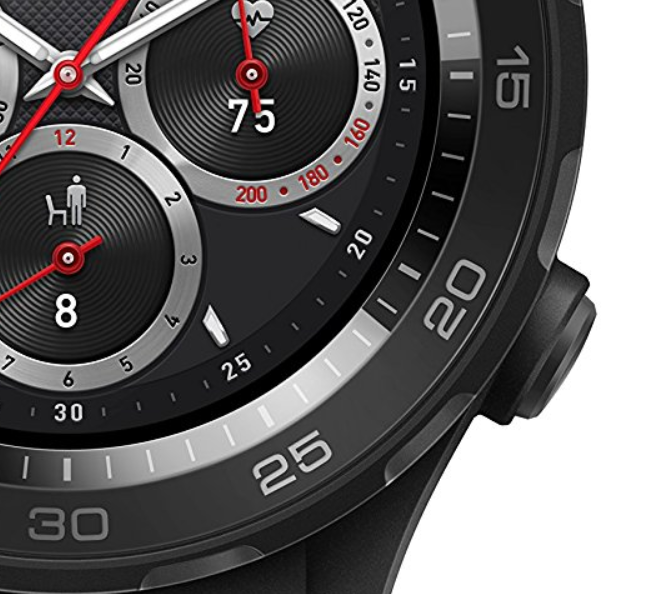 Deal of the day though has to be the Huawei Watch 2 Sport. It’s normally £279.99 but they’ve chopped it down to just £139.99. That’s a huge £140 off! It’s got GPS, training plans, exercise tracking and you can pay for stuff with the NFC connection too. Looks nice this. If you’re looking for a Smartwatch, it’s also worth checking out the TicWatch Smartwatches and the Fitbit Versa Smartwatches – all of these have been discounted recently. There’s other kit discounted at Currys (including £50 off Samsung Smart Watches, half off soundbars, £50 off the Nokia 6). Meanwhile, at AO.com there’s discounts on the Honor 9 Lite (now £139), the Huawei P Smart, the Honor 10 128GB version (that’s still one of my faves). The post Just a few Boxing Day deals is original content from Coolsmartphone. If you see it on another news website, please let us know. 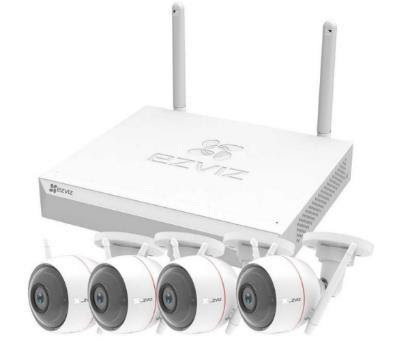 We covered EZVIZ the other day in relation to their new security camera, but they have also launched ezWireless CCTV kit and analogue ‘Everyday’ and ‘Crispr’ wired CCTV kits. 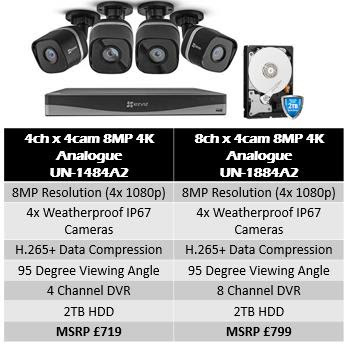 The EzWireless CCTV kit is available from Very and Rymans from £399.99 whilst the analogue kits are available from Rymans and Toolstation from £198.98. All of the kits are weatherproof (IP66), feature motion detection and night vision and work with IFTTT & EZVIZ Alarm Systems. All the CCTV kits are IFTTT compatible and work with other compatible EZVIZ alarm systems. 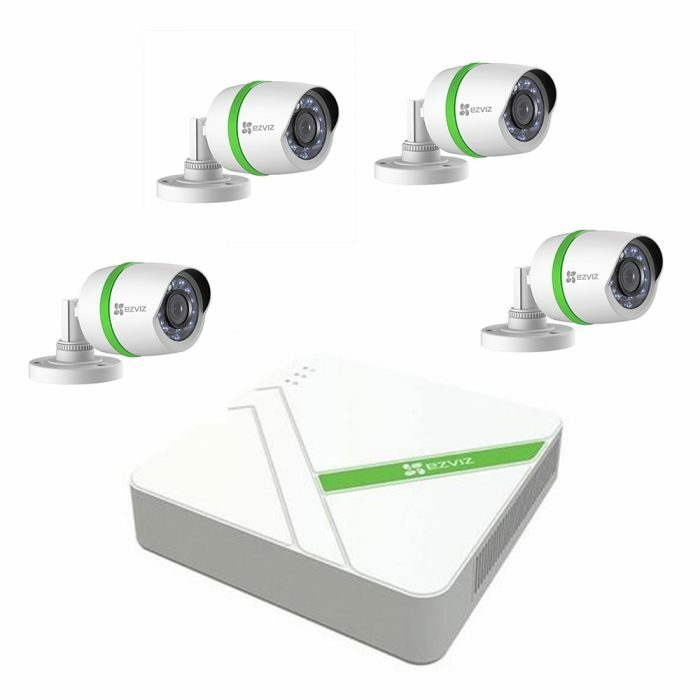 The ezWireless CCTV Kit is a Wi-Fi smart security camera package which comes with 4x ezGuard Plus cameras and a Network Video Recorder (NVR) with 1TB memory capacity. The ezGuard 1080p resolution Wi-Fi cameras have a built-in strobe light and 100db alarm to help deter intruders or unexpected guests or at least scare the hell out of your next door neighbours! The EZVIZ app can also manage sensitivity levels, select specific areas to monitor and set many other features for the cameras. The system can be linked to the EZVIZ alarm and pairs cameras to specific sensor devices. The post EZVIZ introduce ezWireless CCTV kit and analogue ‘Everyday’ and ‘Crispr’ wired CCTV kits is original content from Coolsmartphone. If you see it on another news website, please let us know. But time, wow. It goes so fast. My son was in nappies the last time I looked up from my phone, and now he’s off to high school next year. Where did all the time go? However, for those spending Christmas alone or struggling with depression, bereavement or mental health; please get in touch with the following support organisations. They’re just a call or an on-line chat away. 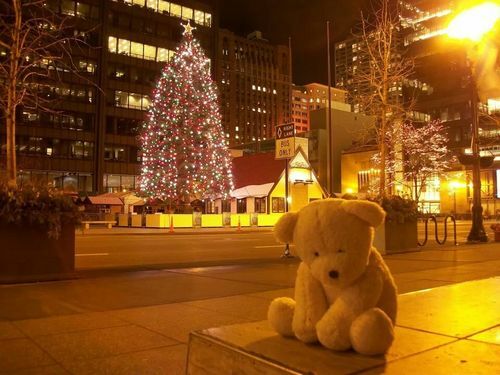 Christmas can be the hardest time, and don’t think that you’re the only one. Don’t think that everyone else is fine, because it just isn’t true. Don’t let pride stop you from getting in touch. – NHS 111 – This line isn’t just for minor ailments. You can call and speak to someone if you don’t feel able to cope or just can’t control your situation. You may feel great emotional distress or anxiety. Call them on 111 or click 111.nhs.uk on your smartphone to interact online. They’re always there, 24/7. – Age UK – Call on 0800 169 6565. They’re open 8AM to 7PM, every day of the year, delivering a lifeline for vulnerable older people. – SANEline – A national out-of-hours mental health helpline offering specialist emotional support, guidance and information to anyone affected by mental illness, including family, friends and carers. They’re open all over the festive period from 4.30PM to 10.30PM on 0300 304 7000 and everything is completely confidential. – The Mix – Support for the under 25’s. They have an online 1-2-1 chat, a crisis messenger and you can call them on 0808 808 4994. 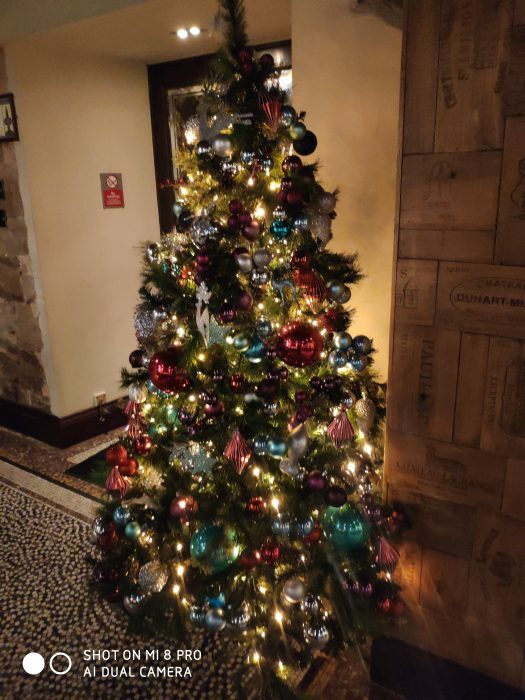 Have a safe and happy Christmas all. The post The Coolsmartphone Christmas Message is original content from Coolsmartphone. If you see it on another news website, please let us know. In the most recent report from Ofcom, we found that now, in 2018, the traditional desktop is a rare beast. In terms of devices accessing the internet, a PC takes just 9% of the pie. Whilst a further 24% is laptops, there’s an obvious and continued decline for anything that isn’t one-handed. It really wasn’t very long ago that businesses would pay a fortune (and I really do mean a fortune) to have a website designed. It would be setup with a big desktop in mind, and so – before long – it all needed doing again when smartphones became the device-of-choice for customers. Now, even if you’re not directly selling goods on your site, having a website which is usable on a phone has to be priority one. Don’t even think about starting with the desktop. Get the mobile version right first. It’s imperative for websites to be mobile-friendly. The growth of mobile usage will continue to grow. These people aren’t just using their device to send emails, texts, and messages. They’re buying stuff online whilst cooking dinner, standing by the bus stop, on a train or sitting on the toilet. When building a website, your golden ticket has to be to catering a plethora of mobile users. 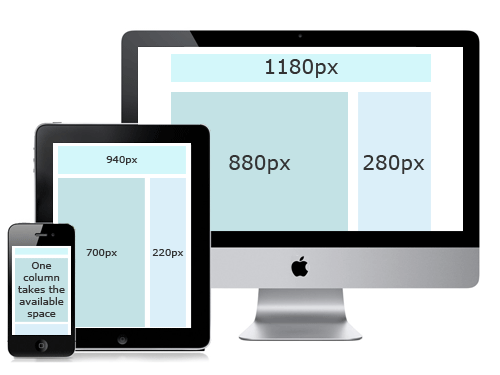 Here’s what you need to consider..
Use a responsive technology framework like we do here on Coolsmartphone. This means that you can put your content online knowing that it will auto-adjust and will display in the best possible way, no matter what the resolution, size or orientation of the smartphone screen viewing it. If you’ve got a WordPress site then you may be able to use a theme to do this for you, but if you don’t, you’ll need to ensure that your web designers have it in their technology bag. According to this A2 Hosting review, implementing Responsiveness means that you can create and cultivate a similar experience, regardless of how customers access your website. So, whether they are using a desktop or smartphone, the user experience is the same. #2. Always Think With Your Thumb! The point here is pretty straightforward: Just make your site completely navigable. You basically want users to navigate your site using their “phone hand.” You want the process to be smooth and easy for them. For instance, you want the content to be readable and you may not want them to stretch to the very top of the screen just to move across to the next item or product. Get the right font size, choose the right menu position. Imagine yourself visiting a website that has products that you are interested. If you’re sitting there and having to use two fingers to constantly zoom in and out, the website has probably already failed. So, as much as possible, create your site’s mobile version in a way that makes it simple and easy to follow and use. An example of bad web design! #3. Keep the Design Simple and Monitor Ads! People want content, quickly. Sure, you may have to put adverts online, but now that screen real-estate is an issue, we have to make sure that there isn’t too much cluttering up the precious remaining bits of screen. 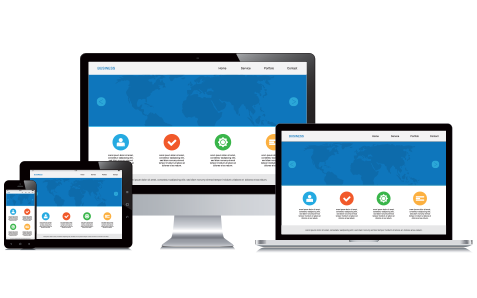 Keep the design of your site’s mobile version simple. Try not to distract the user from what they want – if they want a particular item you’re selling, make it a short and easy journey to get there. Remove distractions. Keep in mind that only have a few seconds to convey your message and encourage visitors to buy from you. And if they get distracted – given the time limit – you are likely to be missing a lot of sale conversions. As we’ve seen from Twitter, people tend to love short, punchy content. They want the detail they need in a quick, clean, concise way. No waffle, no endless “benefits” and technical text that could fill the screen. Ensure that the main part of your product listing shows just the imperative bits of detail, then follow with tabs which show further information should the customer want to drill further down. If you swap them with too much information, it’ll overload things and push the customer away. So remove jargons and tech-speak on the main parts of your listings unless the customer explicitly clicks down into these sections. Remember that your visitors are reading your content using their smartphone, and the experience is not akin to viewing it from a desktop. The mobile web has a lot to do in a small screen, so delivering the traditional “full fat” desktop website just isn’t ideal. Whilst we have 4G connections now, people still want a fairly lightweight website which pops up on their smartphone screen in less than a second. They don’t want to wait while clunky desktop-designed elements flood their 5 or 6 inch panels. This will soak up RAM on the phone and cause your potential customer to have a slow, awkward and clunky experience. If you’re selling clothes, ornaments, gifts or anything which requires high-resolution images, ensure that the smaller preview images are used to entice people in, and ensure that you’re delivering optimized images to your website. Only once people have clicked on the preview image do you deliver that zoomed-in and high-quality shot. Hopefully, even if you’re not designing the website yourself, you can use some of these tips the next time you speak to your web developer. Make sure it’s “mobile first”, because it’ll hopefully equal a bigger profit margin. The post Got a small business? Want a website? A smartphone site is priority ONE! is original content from Coolsmartphone. If you see it on another news website, please let us know. AT&T plans to change the indicator in the status bar of some Android phones from “LTE” to “5G E” in select markets. Specifically, this logo will appear in cities and towns that have been upgraded to AT&T’s 5G Evolution technology, which is not 5G at all. 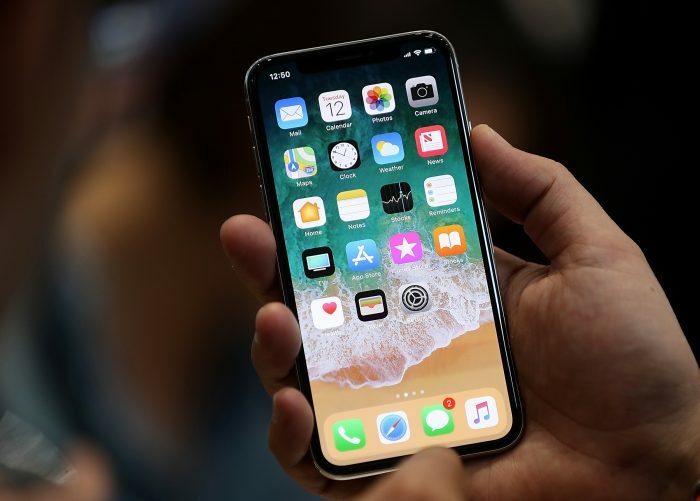 Instead, the phones will be connecting to faster 4G LTE that relies on 4×4 MIMO, LAA, 256 QAM, and other LTE-based technologies. What AT&T calls 5G Evolution will be up and running in more than 400 markets by the end of the year. It is in these markets that Android device owners will see the logo change. The change arrives just as AT&T launches its mobile 5G network. The only device that can access the nascent 5G network is a mobile hotspot. AT&T isn’t expected to offer a 5G phone until February or March. That 5G service will appear as “5G+” once it arrives. AT&T’s planned “5G E” change is likely to mislead some consumers into believing they are connecting to 5G service when in fact they are not. Sprint has agreed to pay the state of New York $330 million to settle a False Claims Act lawsuit filed way back in 2011. New York claimed that Sprint failed to collect more than $100 million in state and local taxes over a period of 10 years. “Sprint knew exactly how New York sales tax law applied to its plans — yet for years the company flagrantly broke the law, cheating the state and its localities out of tax dollars that should have been invested in our communities,” said New York State Attorney General A.G. Underwood. “Now, Sprint will pay the price with this record-setting settlement.” The issue came to light in 2011 when a whistleblower reported the fraud to the state. The whistleblower will receive $62.7 million under New York law, which entitles them to a share of the recovered funds. Sprint said it was pleased to have resolved the matter.